Engine management and data acquisition systems. 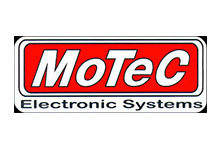 MoTeC engine management and data acquisition systems are designed for performance, reliability and versatility. These ECUs are characterized by their ability to control modern engines with electronic innovations like Drive by Wire throttle and continuously variable cam timing.